In 2003, 30 years after they served together in the Vietnam War, former Navy Corps medic Larry ‘Doc’ Shepherd (Steve Carell) re-unites with ex-Marine Sal Nealon (Bryan Cranston) and Reverend Richard Mueller (Laurence Fishburne) on a different type of mission: to bury Doc’s son, a young Marine killed in the Iraq War. Doc decides to forgo burial at Arlington Cemetery and, with the help of his old buddies, takes the casket on a bittersweet trip up the East Coast to his home in suburban New Hampshire. Along the way, Doc, Sal and Mueller reminisce and come to terms with shared memories of the war that continues to shape their lives. 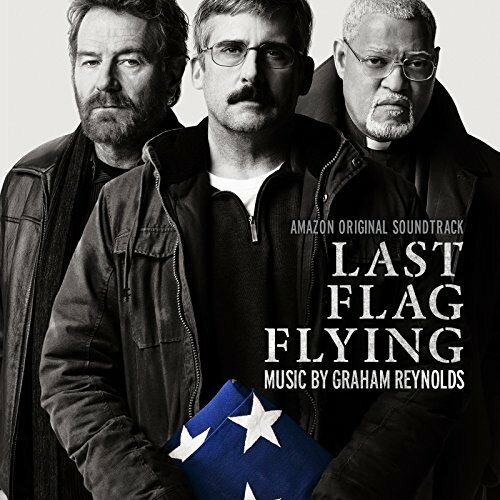 The movie soundtrack of Last Flag Flying will be released on November 3, 2017 by Amazon Content Services.